who made his sideburns red? 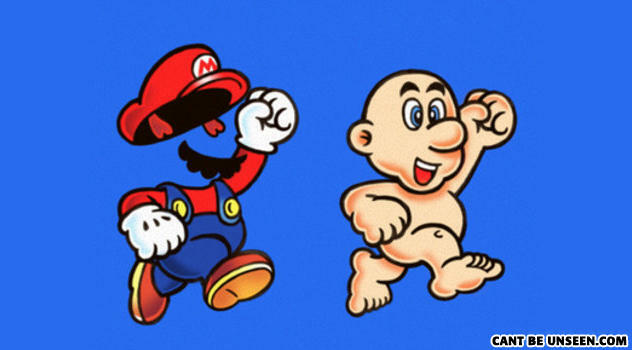 The point is that this is what Mario looks like without a mustache and hair. Whats eight feet tall, purple, smooth, delicious, uses proper grammar, and likes dolphins.